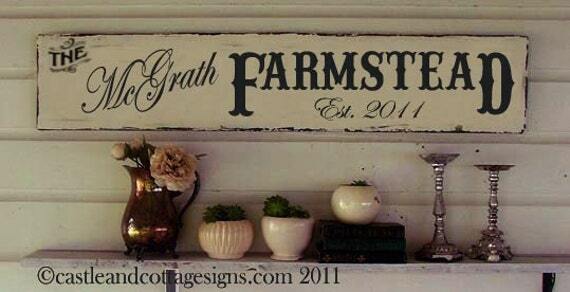 Fishtail Cottage: Castle and Cottage Signs… "
I am so happy to share with you Castle and Cottage is back to sponsor Fishtail Cottage’s Blog! Because of my first hand experience with Castle and Cottage items and the charm that I feel that they have brought into my own home, here at Fishtail Cottage ~ I’m excited to introduce you to them as well! A few ago when I first started my Fishtail Cottage Blog, I wanted something unique and made especially for my home that represented Fishtail Cottage’s journey I was about to begin. I found Castle and Cottage on Etsy and Paula offered to custom make something special for me! When my order arrived ~ it far outweighed any expectation I had. This sign sits above my front door! 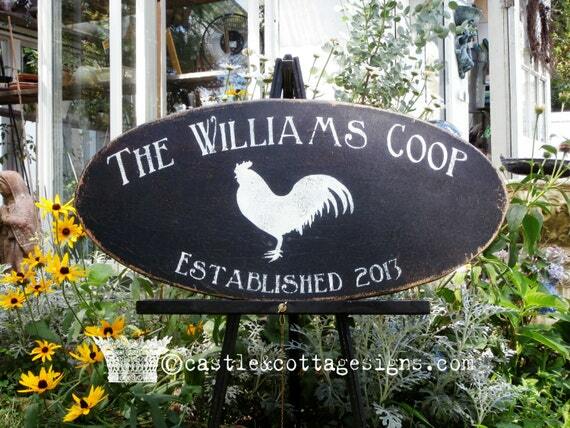 Once my chicken coop was completed, I ordered another sign from Castle and Cottage and it too couldn’t be more perfect. The signs available through Castle and Cottage have the ability to appeal to so many of us, regardless of our taste in home décor! Cottage, French, Country, Farmhouses…the list goes on…not to mention customization for what you are looking for “Exactly"! A few of my favorite signs in Castle and Cottage’s shop right now are below – just click on the photo to be taken directly to the listing! Go ahead and click here to be taken to Castle and Cottage’s shop and then come back and tell me which is your favorite! Good in the month of October 2013 only…if you order, I’d love to hear what you bought! 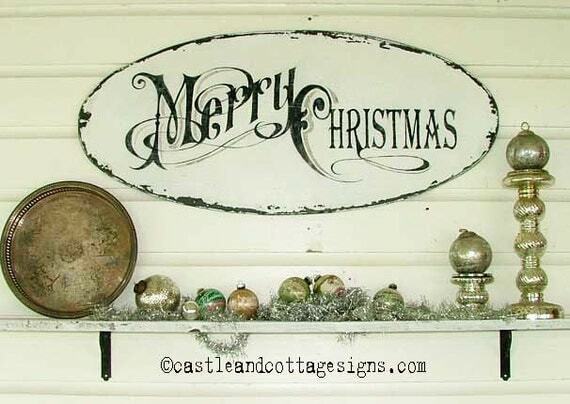 If you’ve purchased one of Castle and Cottage’s signs and have posted about it displayed in your home ~ please share on the link below! We’d all love to see! What a lovely blog. Thank you for sharing. I am your latest follower and I will call again. I really like the house signs. Please feel free to visit me in the orchard. These signs are so beautiful! They really look vintage and are well done. Thanks. I LOVE Paula's signs and am the proud owner of two of them!! Boeing a sign painter myself I can see the art and beauty that her time goes into creating. 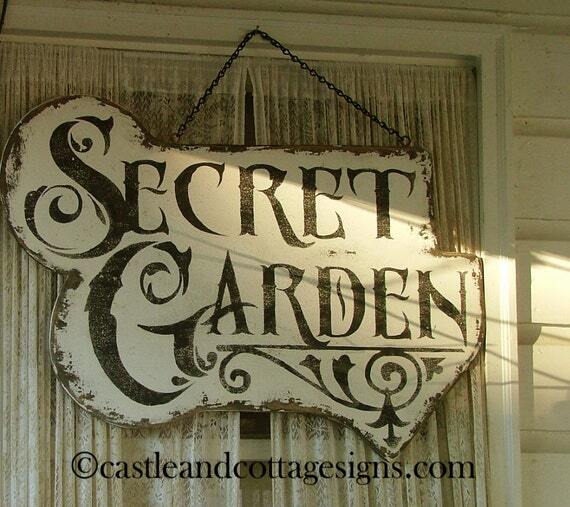 Love all that the signs have added to your cottage, nothing better then signage to express a homes charm. I didn't know that Etsy shop and I'm delighted to find it thanks to you. I spent a great deal of time watching all the signs, thinking "this is my favourite" with every sign, but the "Bliss" one is at the top of my list because I didn't expect that one and the "b" on it is so artistic. Her signs are all so beautiful! Thanks for the sale code! Sweet hugs!